I’m still so totally hooked on Strand Of Oaks right now. Co-contributor Lior tipped me to this artist months ago and I’ve been listening to the album Heal non-stop. 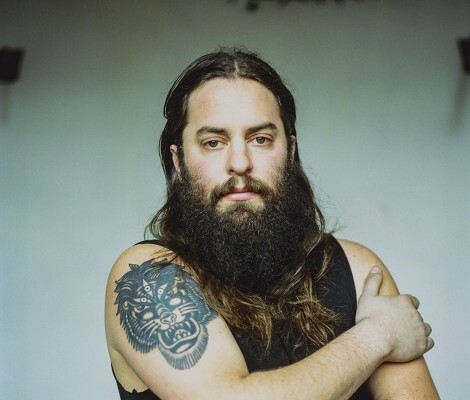 Strand Of Oaks is the recording identity of Timothy Showalter, a Philadelphia-based singer-songwriter who has released his fourth record, Heal, via Dead Oceans. Showalter wrote 30 songs in three weeks after returning home from a long time on the road. While his previous records were more skeletal, raw examples of folk-rooted Americana with occasional rock and electronic currents, Heal‘s focuses on a new beginning—a full-tilt sound that draws on Showalter’s love of ’70s, ’80s and ’90s rock and pop, with the singer playing the intense valedictory confessor. Choosing to have alt-rock icon John Congleton mix the record, Showalter added synth expert / studio engineer extraordinaire Ben Vehorn and drummer Steve Clements to his studio recordings. If you’re going to start with a song, try out what I think is the best song on the record. “Shut In” is a raw depiction of several difficult years, broken relationships, and debilitating addictions, sung with pure emotion and honesty. And an awesome guitar solo. Showalter performed the song recently on Late Night with Seth Meyers. Also, take a listen to the song “JM”, a tribute to Jason Molina and a song that really reminds of me of classic Neil Young and Crazy Horse.